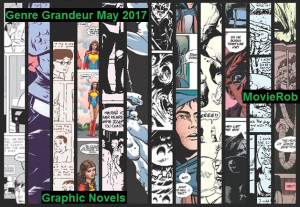 I was able to participate in the Genre Grandeur blogging series. The topic was ‘favorite movie based on a graphic novel’ and my answer is April and the Extraordinary World. Would love your thoughts and follow Rob’s blog. It’s amazing. Thanks again to Vern of the Video Vortex for choosing this month’s genre. Next month’s Genre has been chosen by Audrey of 1001 Movies and Beyond and she has chosen the genre of Movie Musicals. Try to think out of the box! Great choice Audrey! A great choice! 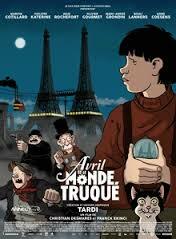 April and the Extraordinary World is indeed a great animation. I included it in my list of 10 must-see animations of the decade. I liked that it had a little bit of everything: romance, fun and intelligence, even though I did noticed some similarities with Anastasia (1997).